Paris’s 16th Arrondissement is often depicted as a formidably wealthy district, populated by ambassadors, billionaires and celebrities such as Carla Bruni, a district in which visitors can spend 1,500 euros a night to stay at the Shangri-La Hotel and reserve a month in advance to dine at l’Astrance (three Michelin stars). For the nonbillionaires among us, however, there are affordable treats to be found, unexpected corners to explore and cultural treasures galore. 1. Architecture: The 16th is home to the Cité de l’Architecture, the Fondation Le Corbusier and the art nouveau creations of Hector Guimard, among other landmarks. 2. Museums: The 16th has more than a dozen, big and small, mainstream and highly specialized. 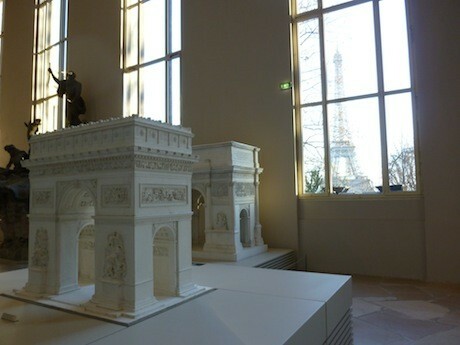 The Palais de Tokyo (modern art) and the Musée Marmottan (Impressionism) are well known, but that’s just the beginning. Tenniseum anyone? Fashion history? Counterfeiting (contrefaçon)? Wine? Baccarat crystal? Step right up, there’s something for everyone. 3. Greenery: The 16th includes the vast Bois de Boulogne, the botanical gardens in the greenhouses of Auteuil and the Jardin du Ranelagh, as well as dozens of pretty tree-lined streets and shady squares. The 16th is far too big to explore in a day. Pick a single quartier instead and take your time. Chaillot is the home of major museums. The Musée Galliera, which specializes in fashion history, is closed for renovations until fall 2013, but until then you can console yourself at the Fondation Pierre Berger–Yves Saint Laurent, where exhibits often have a connection to the world of fashion. At the Cité de l’Architecture, before or after visiting the exhibits, you can eat in the cafeteria, with its spectacular views of the Eiffel Tower, and browse one of my favorite bookstores, le Moniteur. Those on grander budgets can splurge at the Philippe Starck–designed Cristal Room in the Musée Baccarat. If you are in the area on a Wednesday or Saturday morning, take in the open-air market on the avenue du Président Wilson. Passy was once a little town outside the walls of Paris, favored by writers and artists, from Honoré de Balzac (his house is open to the public) to Berthe Morisot (she lived at 40, rue Paul Valéry, and she and her brother-in-law, the painter Edouard Manet, are buried in the Passy cemetery). The rue de Passy has a covered market and dozens of attractive shops. I recommend Franck et Fils, a scaled-down version of le Bon Marché, focusing on fashion, with a pleasant café on the top floor. 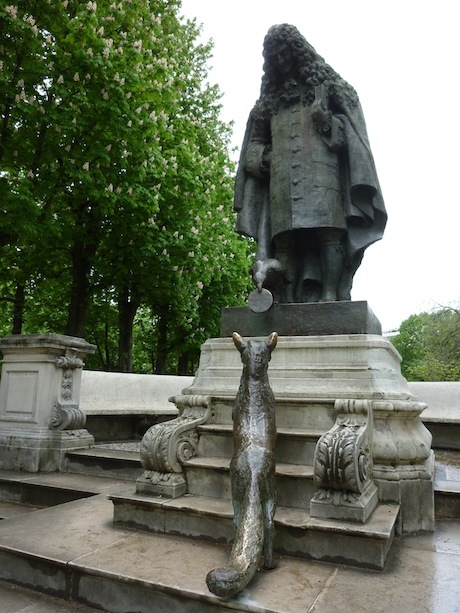 From there, it’s a short walk to the lovely Jardin du Ranelagh: look for the statue of La Fontaine with the crow, the cheese and the hungry fox. 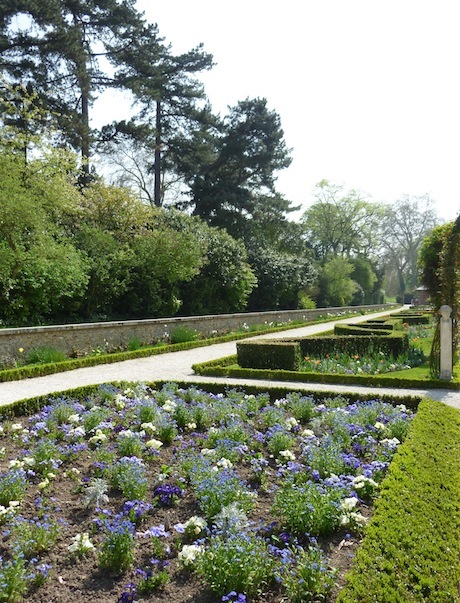 On the far side of the garden is the Musée Marmottan, home of Impressionist art. 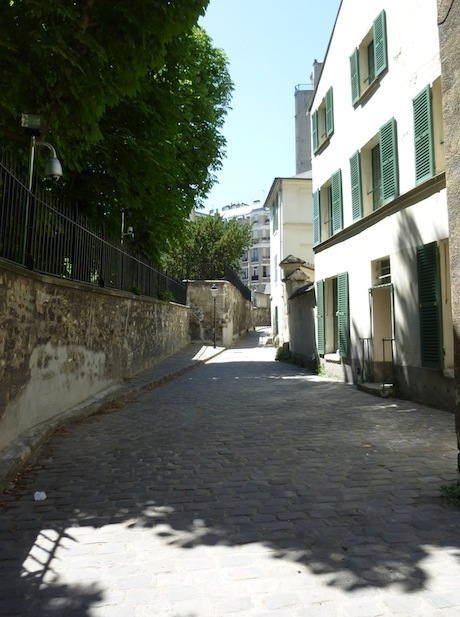 My favourite corner of Passy is the rue Berton, which runs behind Balzac’s house, a narrow cobbled country lane in the heart of the city. Auteuil, downstream from Passy, was the home of aristocratic estates in the 18th century, and some buildings and gardens remain from that time, particularly along the winding rue d’Auteuil. Today the quartier is associated with art nouveau architect Hector Guimard, designer of Paris’s iconic metro entrances. Castel Béranger, at 14, rue Jean de La Fontaine, is considered his masterpiece. After you’ve admired this extraordinary construction, have a bite to eat at the Café Antoine on the other side of the road, in another Guimard building. The café dates from 1911 and offers a traditional bistro experience. Farther down the same street at No. 96 is the birthplace and country retreat of Marcel Proust. The rue d’Auteuil still has a small-town feel, especially on Wednesday and Saturday mornings, when an open-air market occupies the Place Jean Lorrain. 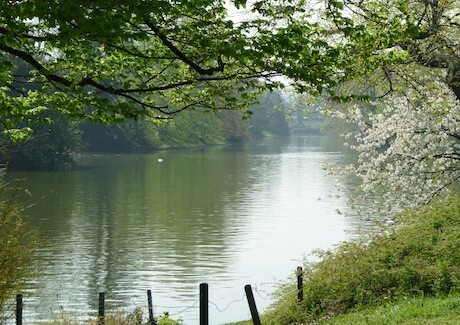 The Bois de Boulogne offers a glorious landscape for long daytime walks, with its lakes and gardens, peacocks and waterfalls. There is a children’s amusement park and zoo called the Jardin d’Acclimatation, near the northern entrance. When you get hungry, head for the Château de Bagatelle, near the walled gardens on the west side of the bois, and enjoy lunch or an ice cream in the open-air restaurant. Those on unrestricted budgets should experience a meal at Pré Catalan, a three-star Michelin-rated restaurant in a spacious villa in the middle of the bois. If you are on foot, leave the area before dark, when its reputation and population changes radically. If you would like to explore the 16th Arrondissement that Jackie Kennedy knew, download Shopping with Jackie in Paris, a self-guided tour from Girls’ Guide to Paris. Wear your pearls! Editor’s note: Have you heard about the GG2P Travel Club yet? There are three levels at which to join—and the first one is free!